Ring from the Pomellato Nudo Collection. 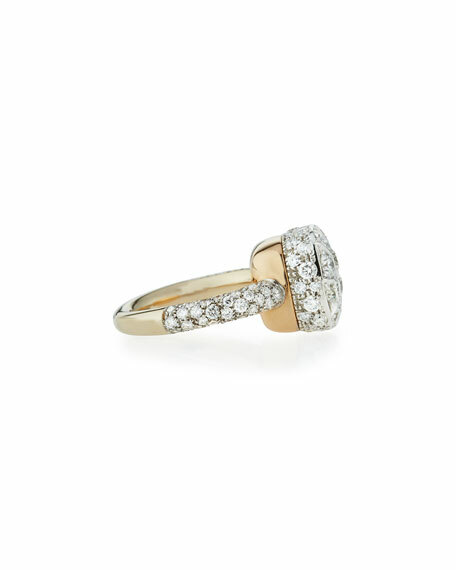 18-karat white and rose gold pavé diamond band. 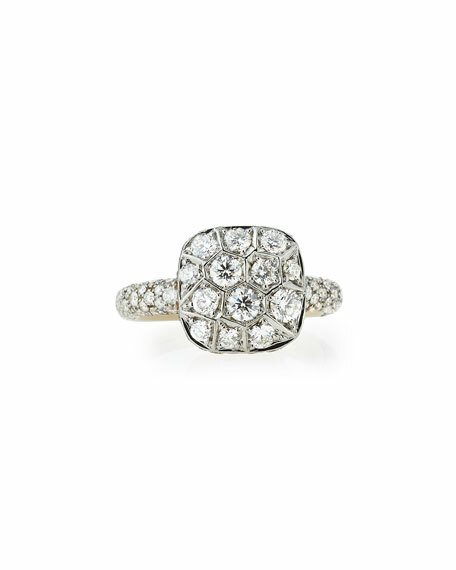 Cushion-shaped face with round white diamonds. 2.2 total diamond carat weight.